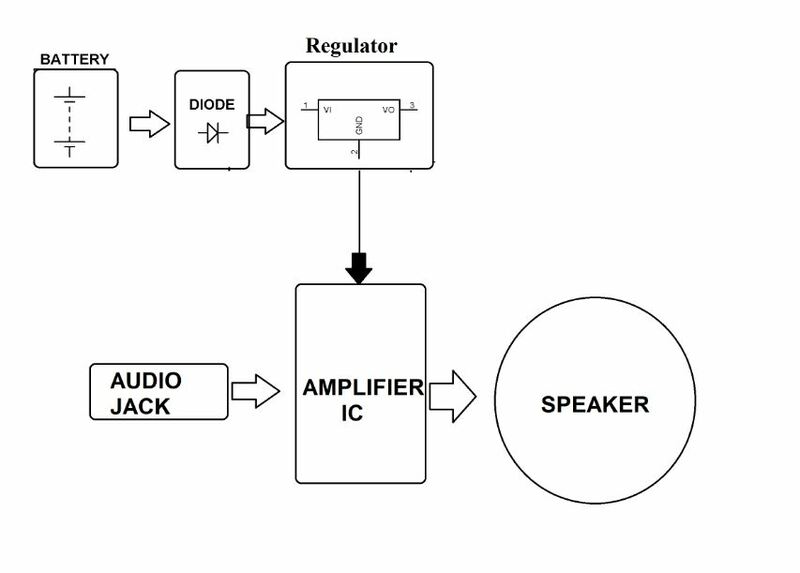 Amplifier is a basic component of all the music systems available in market. The need of this intermediate circuitry exists so that we can hear crystal clear music from the music systems. 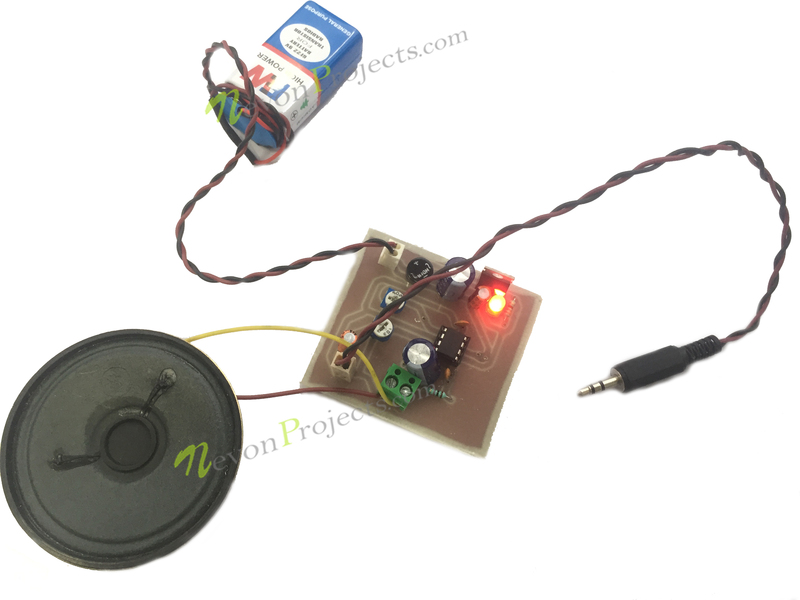 Mini Audio Amplifier project is a mini version of such amplifier systems. This is easy to implement and test with the help of audio jack. The signals given by an audio transmitter device such as cell phone through a 3.5mm audio jack cable is very low in amplitude. Such a signal if given to the speaker, the sound output given by the speaker will be very less and might not be audible even to a nearby person. So instead we given the audio input to the amplifier circuitry. The amplifier circuitry amplifies this audio signal. 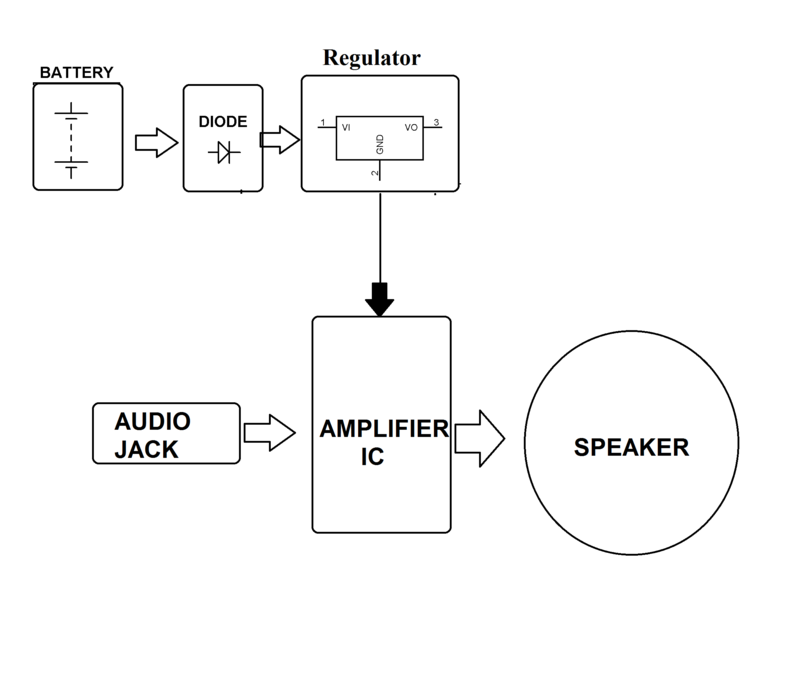 The amplified version of the audio input is fed to the input of the speaker which then converts it into sound output. Audio frequency range lies in the frequency range of 20Hz – 20KHz. The purpose of audio amplifier lies in to increase the amplitude of signals lying in this frequency range and suppress the rest. So the audio amplifier circuitry is configures in such way that it will multiply the audible range signals with a positive gain factor. With the help of two potentiometers we can vary the gain factor or the volume of the audio amplifier.